My name is Lincoln Allen and I am an Advanced Instructor Member of the Tai Chi Union for Great Britain. Tai Chi has many benefits and for me it has become a way of life. It influences so much of what I do. It gives me health, fitness and well-being. I derive unbounded energy from a daily excercise which has improved my posture, balance, flexibility, and coordination. Tai Chi has helped me relax, given me mental stimulation and connected me with nature. I have studied with a number of Tai Chi and Qigong masters and instructors, sometimes travelling considerable distances to attend their lessons and workshops. My Instructors include Geoff Thompson, Julian Wilde, Michael Tse, Angus Clarke, Damian Hackney and Sam Moor. Geoff and Angus were both pupils of Dr. Chi Ching-tao, a student of Cheng Man-ch’ing who introduced the West to Yang Tai Chi. Michael is an internationally renowned Qigong, Tai Chi and Wing Chun Master. Angus is an Honorary President of The Tai Chi Union for Great Britain. Damian coached numerous national champions in Chinese wrestling and kick-boxing and taught Neijia (internal) martial arts. From them I have learned the Yang Short Form (and in mirror image), Yang Long Form, Chen Laojia Form, a number of Qigong forms including Wildgoose, Swimming Dragon, Balancing Gong and Bagua together with numerous Qigong and Tai Chi exercises. I also have some experience of Hard Qigong, weapon Tai Chi using sword and fan together with the application of Qigong in martial arts. These experiences have all helped me become the person I am today. I keep my skills honed with daily practice sessions first thing in the morning and also late evening. This gets me out on the patio, light or dark, warm or freezing, windy or still. It is a very special time of true mindfulness while being at one with nature. Only ice, snow and rain drive me indoors to shift the furniture against the walls so I can still do my Tai Chi. I also watch videos and YouTube postings, including grainy recordings of Cheng Man-ch’ing, and videos by Angus Clark, Michael Tse, Chen Xiaowang, Binkun Hu and others. My focus now is the health, fitness and wellness aspects of Tai Chi (not martial arts). I have experience in teaching specific Tai Chi and Qigong exercises for arthritis. 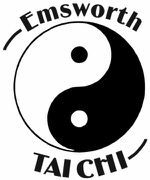 I have also written an article Teaching Tai Chi to Seniors which was published in Tai Chi Ch’uan, the journal of the Tai Chi Union for Great Britain. Even after nearly thirty years I know that I am not at the end of my Tai Chi journey, and I will continue to explore it and improve: it is like an onion, you peel off one layer and there is another to explore. Away from Tai Chi I am enjoying an active retirement and my other interests include conservation – I am a Volunteer Ranger (Conservation & Harbour Watch) for Chichester Harbour Conservancy. I also enjoy walking and getting out on my allotment.